... 1796 (215 years ago today), a daugher, Julia, was born in Fredericton, New Brunswick, Canada. At age 17, she wrote "a sentimental, moralistic melodrama" entitled St. Ursula's Convent, or The Nun in Canada. 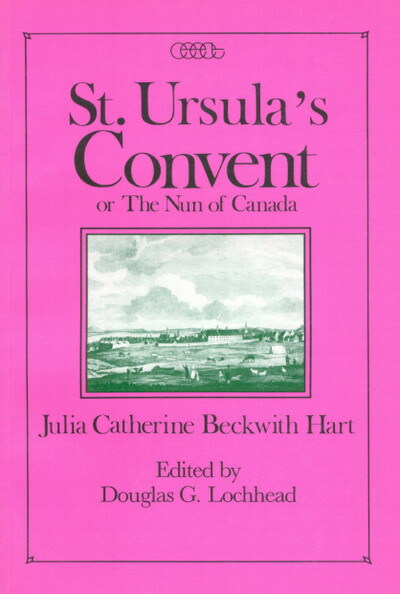 (image credit) After her marriage, Julia Hart published the book in 1824, thus becoming the 1st native-born Canadian to write a novel published in Canada. She wrote 2 additional novels, the latter of which never was published. Hart died in 1867 in the town where she was born.